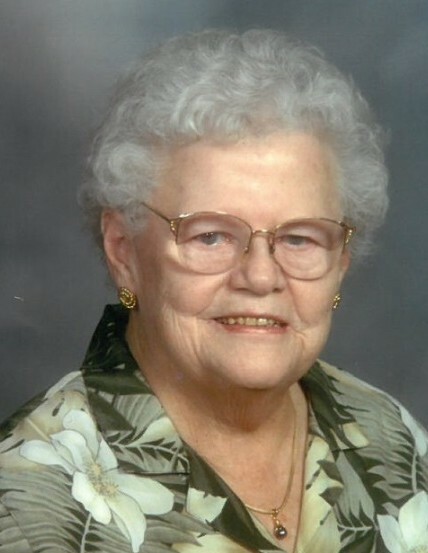 Bernice Agnes “Bernie” Lucas Stuck, age 93, of Bellefontaine, Ohio passed away Sunday morning March 24, 2019, at Green Hills Community in West Liberty, Ohio. She was born in Bellefontaine August 20, 1925, to the late Oscar Frederick and Hilda Justina Christina (Hoewischer) Lucas. Bernie married Richard R. Stuck June 29, 1973 in Bellefontaine, and he preceded her in death January 30, 1987. Bernie was also preceded in death by her son, Richard Stuck, Jr. and his wife Vivian Stuck; a son, Charles L. Stuck; her siblings and their spouses, Beatrice (William) Fox, Robert (Patricia) Lucas, Dolores (Paul) Tillman and a niece, Debra Kay Blain and her son, Michael Blain. When she married Richard, she inherited his wonderful family, including a daughter-in-law, Marilyn Stuck of Minnesota; grandchildren, Susan Stuck, Mary (Stuart) Lovejoy, Karen (Greg) Shields, Julia Stuck, John (Kathleen) Stuck and Kathryn (Erik) Anderson; great-grandchildren, Alison and Stephanie Newman, Aaron, Eric, and Emily Lovejoy, Charlie and Louie Stuck and Luke and Lily Anderson. “Luke”, another one carrying on her name, what an honor! She is also survived by nieces and nephews, Dr. Tim (Marcia) Tillman, Marilyn “Susu” (Max) Earick, Christina Tillman, Robert (Patricia) Lucas, Kathy (Mike) Pellegrin, Rhonda Lewis, and Kathy Campbell; great-nieces and great-nephews, Teresa, Jennifer, Nicholas, Stacy, Scott, Steve, Max, Gregg, Erica, Rob, Sarah, Joanna, Bryan, Nick, Brandon, Paxton, Dana, Guy, Dale, David, and LeeAnn; also great-great-nieces and great-great-nephews, Taylor, Connor, Erin, Haley, Tristin, Dawsin Lucas, Bailey, Riley, Brooks, Deborah, Emma Bernice, Landon, Caleb, Zackery, Dax, CJ, Colton, Jamie, Jonny, Anna, Aaron, Heather, Everett, and Avalyn. Bernice graduated from Bellefontaine High School in 1943. She was secretary to the Superintendent of Bellefontaine City Schools and also worked at the Selective Service office. In 1946, she started working at Dee’s Department Store working there until her marriage in 1973. At that time she moved to Minneapolis, Minnesota and worked with her husband. She returned to Bellefontaine in November of 1991. Bernie was a member of the Bellefontaine First Lutheran Church, Soroptimist Club, and Fidelis Circle of King’s Daughters & Sons and the Women’s Club of St. Louis Park. Bernie was proud of each and every one she knew and was so blessed. She treasured her friendship with her friend from the first day of school, Kay Stevenson; her classmates from BHS 1943, card playing friends, church friends and all she met in daily life. Pastor Larry Novak will officiate a celebration of Bernie’s life Friday, April 5, 2019 at 11 A.M. at the First Lutheran Church in Bellefontaine where a meal will be furnished following the service.